Wolf Commercial Real Estate is a Southern New Jersey commercial real estate firm specializing in representing South Jersey office space for sale and lease. As experts in Southern New Jersey commercial real estate listings and commercial real estate services, the team at our South Jersey commercial real estate brokerage firm provides ongoing detailed information about Southern New Jersey office properties to our clients and prospects to help them achieve their real estate goals. At Wolf Commercial Real Estate, our South Jersey commercial real estate services encompass the highest quality of service and proven expertise. As a leading Southern New Jersey commercial real estate broker, WCRE helps South Jersey owners sell and/or lease their South Jersey office properties. We have a defined marketing process for Southern New Jersey office space that we tailor to each property and sub-market. Our proven marketing strategy works effectively to efficiently match buyers and tenants with available South Jersey office space. The Southern New Jersey commercial real estate professionals at our Southern New Jersey commercial real estate brokerage firm treat your South Jersey office properties as if they were our own and work closely with you as part of our total commitment to client-focused relationships. For companies and local individuals seeking new Southern New Jersey office space or office space anywhere in the country, the team at our South Jersey commercial real estate brokerage firm helps you find the office property that best meets your needs. Our South Jersey commercial real estate experts ensure that the sale or lease terms are the best fit with your commercial real estate goals. At Wolf Commercial Real Estate (WCRE), we help clients from the beginning of the relocation analysis process, facilitating a smooth transition into their new Southern New Jersey office properties. For more information about South Jersey office space for sale or lease, please contact Jason Wolf (856-857-6301; jason.wolf@wolfcre.com), Scott Seligman (856-857-6305; scott.seligman@wolfcre.com) or Christina Del Duca (856-857-6304; christina.delduca@wolfcre.com) at Wolf Commercial Real Estate, a South Jersey commercial real estate broker. Wolf Commercial Real Estate is a leading Southern New Jersey commercial real estate broker that provides a full range of South Jersey commercial real estate services, marketing commercial offices, medical properties, investment properties, industrial properties, land properties and retail buildings for buyers, tenants, investors and sellers. Please click the links below for listings of Southern New Jersey office space for sale or lease and other Southern New Jersey commercial real estate listings from Wolf Commercial Real Estate, the leading South Jersey commercial real estate broker. Please click the links below for listings of South Jersey Office Spaces for Lease or Purchase. Wolf Commercial Real Estate currently has available well-located office space in South Jersey for sale or lease at 250 Haddonfield Berlin Road Gibbsboro NJ. This well-maintained South Jersey office space for sale or lease is in Gibbsboro. There are 50,000 square feet of premier office space in South Jersey for sale or lease. The asking lease price for this office space in Gibbsboro is $14.00/square feet NNN and the asking sale price for this office space in South Jersey for sale or lease is $2,800,000. This South Jersey office space in Gibbsboro for sale or lease is available through Wolf Commercial Real Estate, a South Jersey commercial real estate brokerage firm that specializes in South Jersey commercial real estate listings and services. There are more than 125 parking spaces at this office space in South Jersey. 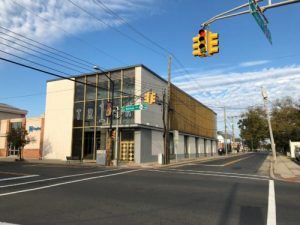 The median household income within five miles of this office space in Gibbsboro at 250 Haddonfield Berlin Road Gibbsboro NJ is nearly $93,000 a year and there are nearly 65,000 residents living within a five-mile radius of this office space in South Jersey. This South Jersey office space for sale or lease in Gibbsboro at 250 Haddonfield Berlin Road Gibbsboro NJ has building and monument signage available. In addition, this office space in Gibbsboro is an ideal location for a company headquarters. This South Jersey office space for sale or lease through Wolf Commercial Real Estate, a South Jersey commercial real estate broker that specializes in South Jersey commercial real estate listings and services sits on 2.84 acres of land. Located on the highly traveled business corridor of Route 561 (Haddonfield Berlin Road), this office space in South Jersey is easily accessible from Routes 70, 73, and I-295. There is a 25-foot ceiling height at this office space in Gibbsboro and the median age of the population within five miles of this office space for sale or lease in Gibbsboro is under 40 years old. For more information about this South Jersey office space for sale or lease in Gibbsboro at 250 Haddonfield Berlin Road Gibbsboro NJ, about other office space in Gibbsboro, or about any other South Jersey commercial properties for sale or lease, please contact Ryan Barikian (856-857-6307; ryan.barikian@wolfcre.com) or Christopher Henderson (856-857-6337; chris.henderson@wolfcre.com) at Wolf Commercial Real Estate, a South Jersey commercial real estate broker. Wolf Commercial Real Estate, the leading South Jersey commercial real estate brokerage firm that specializes in South Jersey commercial real estate listings and services, is offering prime South Jersey office space for sale at 144 Kings Highway West Haddonfield NJ. The property containing this South Jersey office space is in the borough’s affluent downtown business district. 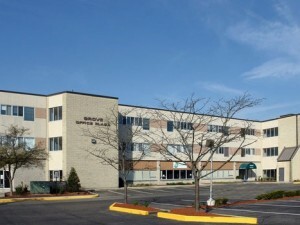 This South Jersey office building for sale currently is being used as the Kingsway Learning Center. In addition, this South Jersey office space for sale is fit out with multiple classrooms. There also are administrative offices at this South Jersey office space for sale at 144 Kings Highway West Haddonfield NJ. Please call for the asking sale price for this office space in South Jersey. This South Jersey office space for sale is being offered for late fall 2018 occupancy through Wolf Commercial Real Estate, a South Jersey commercial real estate broker with expertise in South Jersey commercial real estate listings and services. This South Jersey office space for sale at 144 Kings Highway West Haddonfield NJ contains a total of 55,000 sf and this South Jersey office space for sale features a gymnasium, restrooms, and a cafeteria. There also is an elevator serving this South Jersey office space for sale. This South Jersey office space for sale sits on 1.2 acres of land that could serve as excellent office space in South Jersey. This South Jersey office building is available for sale through Wolf Commercial Real Estate, a South Jersey commercial real estate brokerage firm with expertise in South Jersey commercial real estate listings and services. More than 339,000 people reside within a five-mile radius of this office space in South Jersey while the average household income in the same geographic area near this South Jersey office space for sale is $79,467. For more information about this South Jersey office space for sale at 144 Kings Highway West Haddonfield NJ or about any other South Jersey commercial properties for sale, please contact Jason Wolf (856-857-6301; jason.wolf@wolfcre.com) or Christopher Henderson (856-857-6337; chris.henderson@wolfcre.com) at Wolf Commercial Real Estate, a South Jersey commercial real estate broker that specializes in South Jersey commercial real estate listings and services. 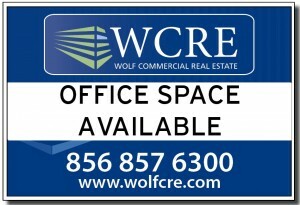 Wolf Commercial Real Estate is the foremost South Jersey commercial real estate broker that provides a full range of South Jersey commercial real estate listings and services, marketing commercial offices, medical properties, industrial properties, land properties, retail buildings and other South Jersey commercial properties for buyers, tenants, investors and sellers. Please visit our websites for a full listing of South Jersey commercial properties for sale or lease through our South Jersey commercial real estate brokerage firm. Wolf Commercial Real Estate, a leading South Jersey commercial real estate brokerage firm that specializes in South Jersey commercial real estate listings and services, now has available well-located South Jersey office space for lease at 600 Cuthbert Boulevard Westmont NJ. This South Jersey office space for lease is in a full-service, mid-rise office building and the Westmont Plaza Shopping Center is adjacent to this South Jersey office space for lease. There is just less than 28,000 square feet of office space in South Jersey at 600 Cuthbert Boulevard Westmont NJ. The asking lease price for this office space in South Jersey is $18.00/sf full service. This South Jersey office space for lease is available for immediate occupancy through Wolf Commercial Real Estate, a South Jersey commercial real estate broker that specializes in South Jersey commercial real estate listings and services. This South Jersey office building for lease has 9,500 sf of retail South Jersey office space for lease on the first floor. An additional 8,615 sf can be found on the second floor of this South Jersey office space for lease at 600 Cuthbert Boulevard Westmont NJ, while there’s another 9,800 sf of office space in South Jersey on the third floor. There also is prime first-floor retail building space available at this South Jersey office space for lease. Please call for lease information. This office space in South Jersey is available for lease through Wolf Commercial Real Estate, a South Jersey commercial real estate broker that specializes in South Jersey commercial real estate listings and services. Parking is ample at this South Jersey office space for lease and a PATCO High-Speed Line station is close by this office space in South Jersey at 600 Cuthbert Boulevard Westmont NJ. In addition, there’s easy access to Route 38, 70, 130 and the bridges to Philadelphia from this South Jersey office building for lease. 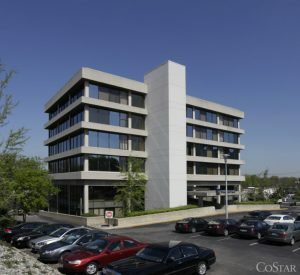 More than 30,000 vehicles per day pass by this South Jersey office building for lease. For more information about this office space in South Jersey at 600 Cuthbert Boulevard Westmont NJ, or about any other South Jersey commercial properties for sale or lease, please contact John T. Mozzillo (856-857-6304; john.mozzillo@wolfcre.com) or Christopher Henderson (856-857-6337; chris.henderson@wolfcre.com) at Wolf Commercial Real Estate, a premier South Jersey commercial real estate broker. Wolf Commercial Real Estate, the leading South Jersey commercial real estate brokerage firm that specializes in South Jersey commercial real estate listings and services, is now offering premier South Jersey office space for sale or lease at 251 Bellevue Avenue Hammonton NJ. This South Jersey professional office space for sale or lease is housed in a two-story South Jersey office building for sale or lease. This South Jersey professional office building for sale or lease offers its tenants elevator access for each floor. The asking sale price for this professional office space in South Jersey is $985,000, while the asking lease price has been set at $9.00/sf NNN. This South Jersey professional office space for sale or lease is being offered for immediate occupancy through Wolf Commercial Real Estate, a South Jersey commercial real estate broker with expertise in South Jersey commercial real estate listings and services. This South Jersey office building for sale or lease at 251 Bellevue Avenue Hammonton NJ features +/- 13,170 square feet of professional office space in South Jersey. This South Jersey professional office building for sale or lease has 6,585 sf on the first floor and prospective tenants will find another 6,585 sf of South Jersey office space for sale or lease on the second floor. Located in the heart of downtown Hammonton, this South Jersey professional office space for sale or lease provides easy access to Route 30, Route 73 and the Atlantic City Expressway. In addition, this South Jersey office building for sale or lease at 251 Bellevue Avenue Hammonton NJ is within walking distance to the town’s NJ Transit train station. Parking is ample at this South Jersey office space for sale or lease and there is building signage available at this South Jersey professional office building for sale or lease through Wolf Commercial Real Estate, a South Jersey commercial real estate brokerage firm with expertise in South Jersey commercial real estate listings and services. There are several separate professional office suites available at this professional office space in South Jersey and there also are two-to-three conference rooms and an open bullpen area at this South Jersey professional office space for sale or lease. For more information about this South Jersey office space for sale or lease at 251 Bellevue Avenue Hammonton NJ or about any other South Jersey commercial properties for sale or lease, please contact Jason Wolf (856-857-6301; jason.wolf@wolfcre.com) or Christopher R. Henderson (856-857-6337; chris.henderson@wolfcre.com) at Wolf Commercial Real Estate, a South Jersey commercial real estate broker that specializes in South Jersey commercial real estate listings and services. Wolf Commercial Real Estate, a leading South Jersey commercial real estate brokerage firm with extensive expertise in South Jersey commercial real estate listings and services, now has available South Jersey office space for lease at 504 Route 130 Cinnaminson NJ. This is an opportunity to secure highly desired space in a South Jersey office building for lease. There is a total of 3,750 square feet available in this South Jersey professional office building for lease. There are 2,500 sf available on the first floor of this South Jersey professional office building for lease at 504 Route 130 Cinnaminson NJ and between 120 sf and 1,250 sf of South Jersey office space for lease available on the second floor. The asking lease price for this professional office space in South Jersey is $17.00/sf full service on the first floor while interested clients are asked to contact Wolf Commercial Real Estate for more information about the lease price for the second-floor space. Full service lease terms also are available for this South Jersey professional office space for lease. Located along the busy Route 130 corridor, this South Jersey professional office space for lease is located across from several retail shopping centers and restaurants. In addition, this South Jersey office building for lease offers easy access to I-295 and is within three miles of Philadelphia. This South Jersey office space for lease is available for immediate occupancy through Wolf Commercial Real Estate, a South Jersey commercial real estate broker that specializes in South Jersey commercial real estate listings and services. This South Jersey professional office space for lease is perfect for any office professional from a start-up operation to a well-seasoned business and, in addition, there is a secure front entrance at this professional office space in South Jersey along with security cameras in all common areas. Recently renovated restrooms can be found at this professional office space in South Jersey at 504 Route 130 Cinnaminson NJ while tenants at this South Jersey professional office building also have access to a shared kitchen and a shared conference room. There is ample parking at this South Jersey office building for lease and there also is both pylon and directory signage available at this South Jersey professional office space for lease through Wolf Commercial Real Estate, a South Jersey commercial real estate brokerage firm that specializes in South Jersey commercial real estate listings and services. 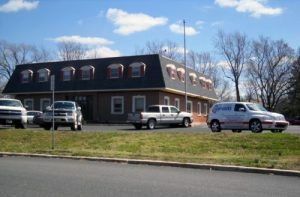 For more information about this South Jersey office building for lease at 504 Route 130 Cinnaminson NJ or about any other South Jersey commercial properties for sale or lease, please contact Ryan Barikian (856-857-6307; ryan.barikian@wolfcre.com) at Wolf Commercial Real Estate, a South Jersey commercial real estate broker. Wolf Commercial Real Estate, a leading South Jersey commercial real estate brokerage firm that specializes in South Jersey commercial real estate listings and services, is now offering spacious South Jersey office space for sale or lease at 1 Burlington Street Gloucester City NJ. 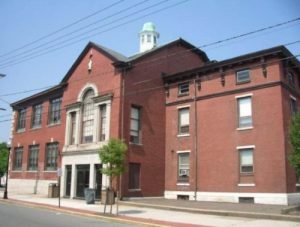 This South Jersey office building for sale or lease is a former school building that once housed Gloucester Catholic High School. Access to the state’s Urban Enterprise Zone program is available for this office space in South Jersey. As a multiple opportunity site, this South Jersey office building for sale at 1 Burlington Street Gloucester City NJ can be used as a retail or office location. In addition, residential applications would be appropriate at this office space in South Jersey. A total of 10,000 square feet are available at this South Jersey office space for lease through Wolf Commercial Real Estate, a South Jersey commercial real estate broker. This office space in South Jersey is also a great space for a school or learning institution. This South Jersey office building for sale at 1 Burlington Street Gloucester City NJ is near the growing maritime operation known as the Port of Gloucester City. The asking lease price of this South Jersey office building for sale is $16.00 per square foot plus utilities. 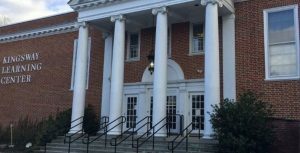 The building that houses this South Jersey office space for lease also is available for sale at an asking price of $550,000. Information about this South Jersey office building is available by request from Wolf Commercial Real Estate, the foremost South Jersey commercial real estate brokerage firm that specializes in South Jersey commercial real estate listings and services. There are many walkable amenities near this office space for lease. For example, this office space in South Jersey at 1 Burlington Street Gloucester City NJ is close to several banks, restaurants, and retail facilities. There also is ample parking at this office space in South Jersey. This South Jersey office space for lease is available for immediate occupancy through Wolf Commercial Real Estate, a South Jersey commercial real estate broker that specializes in South Jersey commercial real estate listings and services. For more information about this South Jersey office space for sale at 1 Burlington Street Gloucester City NJ or about any other South Jersey commercial properties for sale or lease, please contact Ryan Barikian (856-857-6307; ryan.barikian@wolfcre.com) at Wolf Commercial Real Estate, a South Jersey commercial real estate brokerage firm. As a new agent or broker, if you want business — and don’t have an existing sphere ready to buy/sell — there’s no doubt you’re going to pay a (hefty) tax. Either to Zillow for Premiere Agent, 25-40% referral fees for leads, or a sizable investment into a tech platform such as Boomtown & marketing spend to drive traffic. Or, you could spend months / years building your sphere (not likely to make much money in the first few years). You could also spend years building organic SEO, and still be left in the dust. The potential of a fake market in real agent selection. There is a lack of clarity to the general public around real agent selection and a lot of different ways for real estate agents to build up their sphere. Real estate agents don’t always see the long-term harm in fake markets vs short-term gains. There is some evidence to suggest a fake market exists but as of now it is all guesswork. Wolf Commercial Real Estate, the leading South Jersey commercial real estate brokerage firm that specializes in South Jersey commercial real estate listings and services, is offering prime South Jersey office space for lease in the Grove Office Plaza at 515 Grove Street Haddon Heights NJ. New tenants at this South Jersey professional office space will receive six months free rent by signing a minimum-length five-year lease at this South Jersey office building for lease. Prospective tenants also will find monument signing and a tenant directory at this South Jersey professional office space for lease. The asking lease price for this professional office space in South Jersey has been set at $15.50/sf plus utilities and janitorial service. This South Jersey professional office space for lease is being offered for immediate occupancy through Wolf Commercial Real Estate, a South Jersey commercial real estate broker with expertise in South Jersey commercial real estate listings and services. This South Jersey office space for lease in the Grove Office Plaza at 515 Grove Street Haddon Heights NJ features multiple floors of professional office space in South Jersey. The first floor of this professional office space in South Jersey consists of 2,800 sf, the second floor of this South Jersey office space for lease offers 1,050 sf, and the third floor of this South Jersey professional office space for lease contains 4,670 sf. This South Jersey office space for lease in the Grove Office Plaza at 515 Grove Street Haddon Heights NJ is in located in an affordable mid-rise office building and parking is plentiful at this South Jersey office space for lease with a ratio of 4/1,000 sf. This South Jersey professional office building is available for lease through Wolf Commercial Real Estate, a South Jersey commercial real estate brokerage firm with expertise in South Jersey commercial real estate listings and services. More than 302,000 people reside within a five-mile radius of this professional office space in South Jersey while the average household income in the same geographic area near this South Jersey professional office space for lease is $76,006. For more information about this South Jersey office space for lease in the Grove Office Plaza at 515 Grove Street Haddon Heights NJ or about any other South Jersey commercial properties for lease, please contact Jason Wolf (856-857-6301; jason.wolf@wolfcre.com) at Wolf Commercial Real Estate, a South Jersey commercial real estate broker that specializes in South Jersey commercial real estate listings and services. Wolf Commercial Real Estate, a premier South Jersey commercial real estate brokerage firm with expertise in South Jersey commercial real estate listings and services, is now offering South Jersey office space for lease at 222 Haddon Avenue Westmont NJ. This South Jersey professional office space for lease has new ownership and management. This South Jersey office building for lease has +/- 4,000-12,000 square feet of professional office space for lease in South Jersey. The asking lease price for this professional office space in South Jersey is $20.00 sf Gross + utilities and janitorial for the second floor and the asking lease price of this South Jersey office building at 222 Haddon Avenue Westmont NJ is $20.00 NNN for the first floor. The second floor of this South Jersey professional office space for lease is available for immediate occupancy through Wolf Commercial Real Estate, a South Jersey commercial real estate broker that specializes in South Jersey commercial real estate listings and services. Availability is negotiable for occupancy of the first floor of this professional office space for lease in South Jersey. Located in a prestigious three-story South Jersey office building for lease, this professional office space in South Jersey has multiple tenants. This South Jersey office space for lease is located at the corner of Haddon Avenue and Crystal Lake Avenue. This South Jersey professional office space for lease is being brokered through Wolf Commercial Real Estate, a South Jersey commercial real estate brokerage firm with expertise in South Jersey commercial real estate listings and services. This South Jersey office building for lease at 222 Haddon Avenue Westmont NJ has undergone recent capital improvements. Prospective tenants will find renovated common restrooms and elevators and a brand-new roof at this professional office space for lease in South Jersey. In addition, the parking lot at this professional office space in South Jersey has been milled and repaved. This South Jersey office space for lease is near routes 38, 70, and 130 and is 15 minutes from Philadelphia via the Ben Franklin Bridge. This South Jersey office building for lease has ample parking and this South Jersey professional office space for lease is less than one block from the Westmont PATCO station. 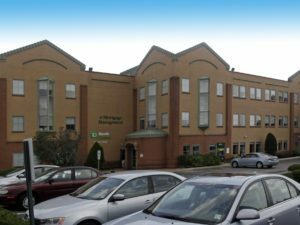 More than 331,000 residents live within a five-mile radius of this professional office space for lease in South Jersey and the average household income in the same area is $74,093. For more information about this South Jersey office space for lease at 222 Haddon Avenue Westmont NJ or about other South Jersey commercial properties for sale or lease, please contact Christopher R. Henderson (856-857-6337; chris.henderson@wolfcre.com) or Jason Wolf (856-857-6301; jason.wolf@wolfcre.com) at Wolf Commercial Real Estate, a South Jersey commercial real estate broker.